Get iOS Notifications On Your Pi #piday #raspberrypi @Raspberry_Pi « Adafruit Industries – Makers, hackers, artists, designers and engineers! 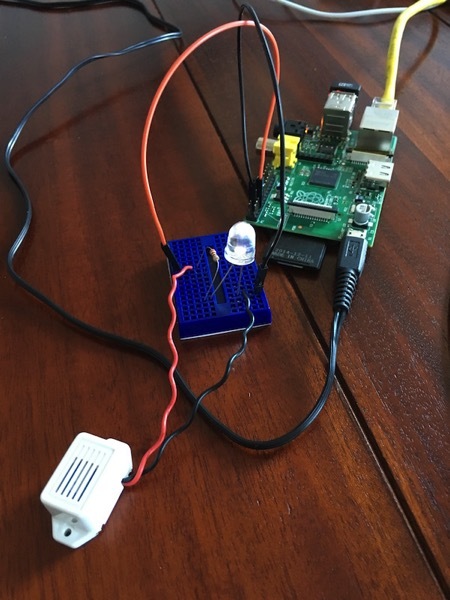 Luke Bernndt sent in this cool project of getting iOS notifications on a Raspberry Pi. I have mashed together some code that lets you receive iOS notification in Linux, via Bluetooth LE and ANCS. What this means is that you can get a notification on your Raspberry Pi anytime someone calls you or send you a message. And since you can hook fun things to your Pi, you can make sure you never miss another phone call again because your phone was in your bag.